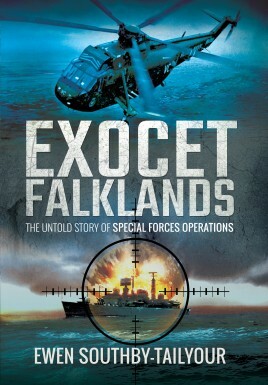 This is a revelatory account of three un-tabulated special forces operations, Plum Duff, Mikado and Kettledrum, that failed to destroy Argentina's Exocet missiles during the 1982 Falkland's campaign. In that context alone this book is of international military importance. Using previously unknown material and through interviewing key players who have remained silent for 30 years, Ewen Southby-Tailyour has finally established the truth: that it has taken so long reflects the sensitivities, both military and personal, involved. Interviews with the SAS officer commanding Operation Plum Duff, members of the reconnaissance patrol for Operation Mikado, plus the navigator of the helicopter that flew eight troopers into Tierra del Fuego, has allowed the author to describe the tortuous events that led, instead, to a significant survival story. The RAF [pilots tasked with ‘ crash-landing' two Hercules onto Rio Grande during Operation Mikado have spoken of the extraordinary procedures they developed: so has the captain of the British submarine involved. The Super Etendard pilots who sank HMS Sheffield and MV Atlantic Conveyor and then ‘attacked' HMS Invincible, plus a key member of the Argentine special forces and the brigadier defending Rio Grande, add credence, depth and gravitas to the saga.